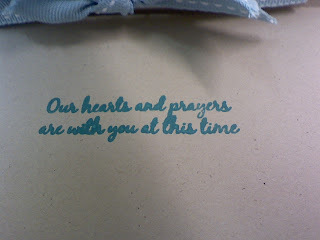 As we deal with the passing of friends and family, we have many emotions. Emotions that cannot always be put into words. 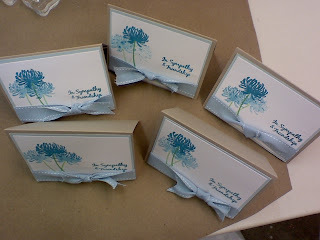 Its at those times where I sit at my craft table and have just an overload of ideas and none that I actually do. 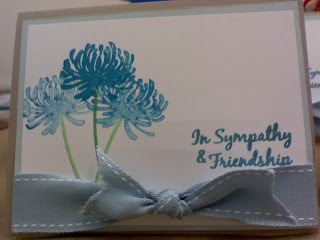 Lets face it, sympathy cards are the hardest thing to do, a subject that is very touchy. I made a few cards that are simple enough to express any thoughts, and let someone know I care. 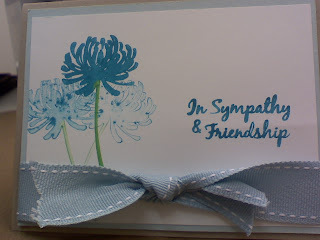 Another look at the card, just slightly different.